All Donation will be going towards current Idols, upcoming New Idols and for Temple Constrcution. 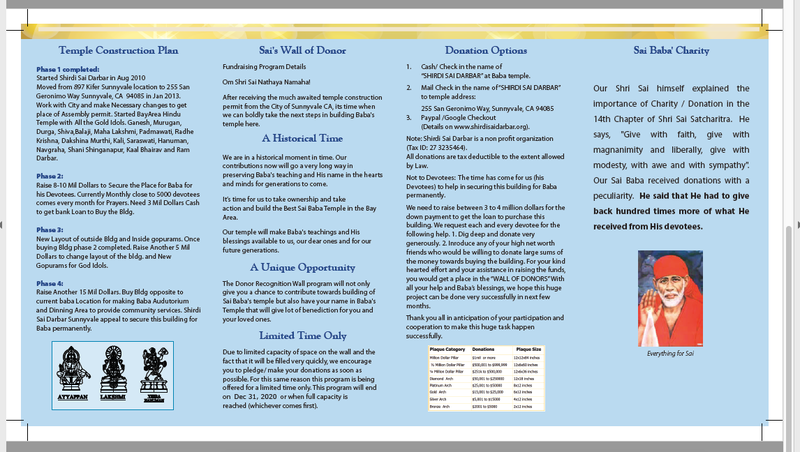 Sai's Wall of Donors -Donate $2001 or more and Inscripe your name in Sai's wall of donor. Due to limited capacity of space on the wall and the fact that it will be filled very quickly, we encourage you to pledge/ make your donations as soon as possible. This program is being offered for a limited time only. This program will end on December 31st 2018. 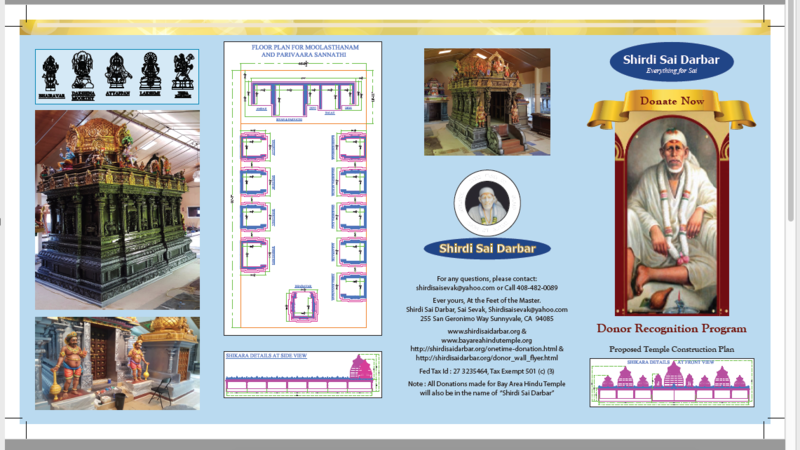 Send a cheque payable to "Shirdi Sai darbar" to our registered mailing address : 255 San Geronimo Way, Sunnyvale, CA 94085. Stock transfer to non profit "Shirdi Sai Darbar Trading Account : 863062311", "DTC : 0188".